Aimee Millward’s practice engages with investigating the relationship between reality and abstraction within painting and installation. Her work takes influence from everyday motifs such as landscapes, location and space which are all reduced to their bare structures until they are unrecognisable. The mixture of gestural marks and geometric forms becomes the starting point in establishing a hybridisation of reality and abstraction. The process of layering painted gestures constructs ongoing spectacles and experiences in the work which generates an uncertain space that the audience can interact with. 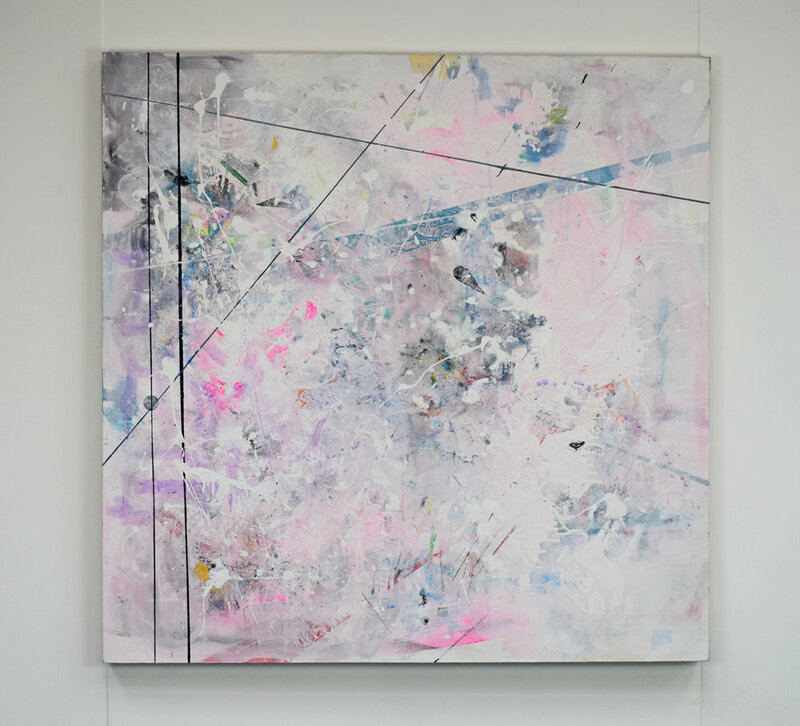 Different materials are also explored in Aimee’s practice such as wool, elastic bands and glass also the surface of the painting; canvas, wood, metal and mirrors. Other than painting Aimee experiments with bringing her work out of the constraints of the painted surface in to the space that it inhabits. Using painted materials, strings or wool the painted composition travels out towards the viewer. The assembly of the painted works and the installation produces a new space that always evolves.